Words Worth Knowing #19: Logy or What's Being Studied? 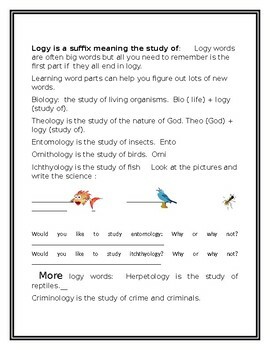 Five-pages of illustrated worksheets featuring Logy words via definitions, exercises and pictures. 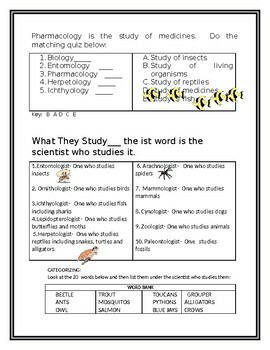 Several short matching vocab quizzes with answer key. key. Five versatile bell or exit exercise or a packet that can also be used as an emergency lesson plan. 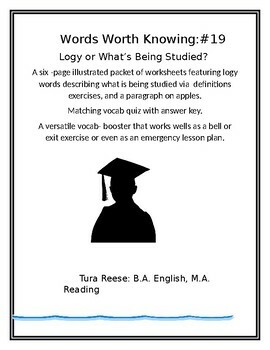 Logy words is 19/35 in the WORDS WORTH KNOWING series which is intended to enrich a middle school or home-school Reading/English curriculum. 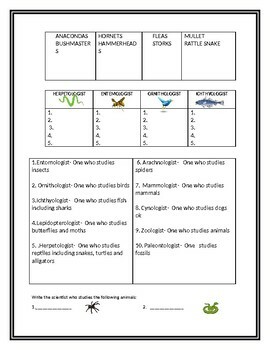 Depending on the reading level it could work for advanced elementary students as well.